In 1873, the Dutch issued a war against Aceh. 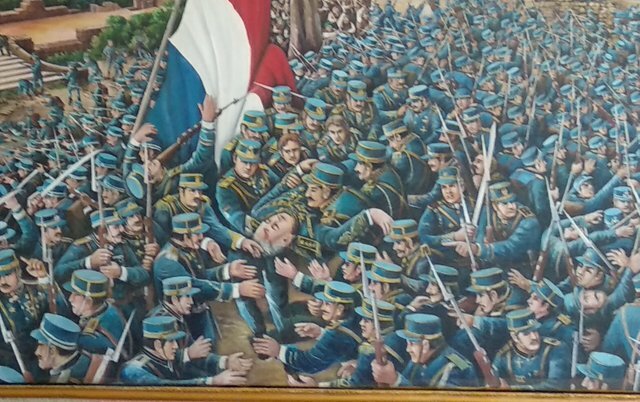 This war is the longest and most exhausting war ever undertaken by the Dutch. 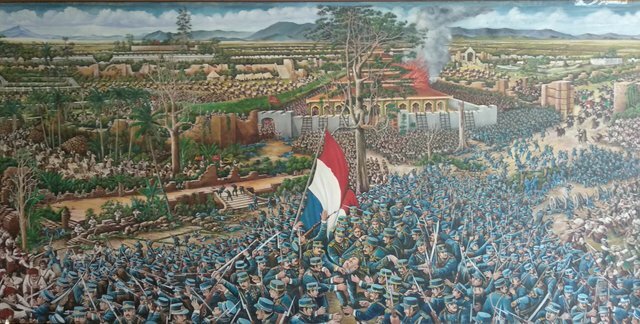 The first Dutch landings in Aceh (1873), were welcomed by the Great Battles by the Aceh Warriors. Starting the first Dutch aggression against Aceh on March 26, 1873, Dutch troops led by General Kohler managed to land on Ulee Lheu beach after violating the coastal defense of the Aceh Sultanate. 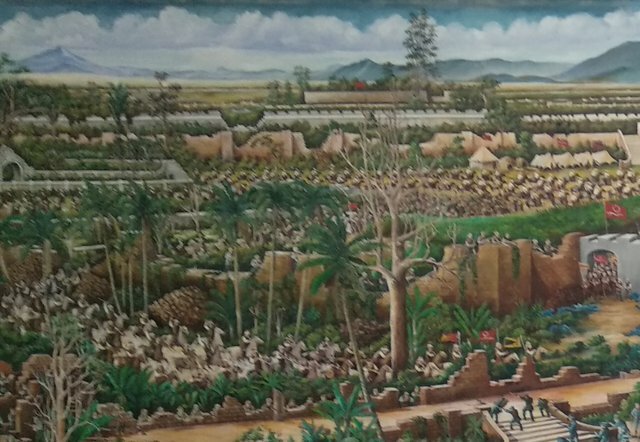 Dutch troops then moved towards the center of the capital of the kingdom, Kutaradja (Banda Aceh today). The arrival of this Dutch got fierce resistance from the fighters of Aceh. 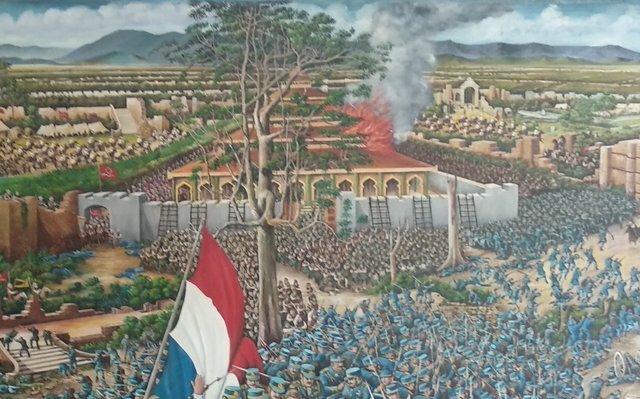 However, because of the complete Dutch weaponry, the Aceh fighters were forced to retreat, and the Dutch managed to control the Great Mosque of Baiturrahman. Some sources say, at that time the Dutch expedition forces magnitude of 5,000 people. 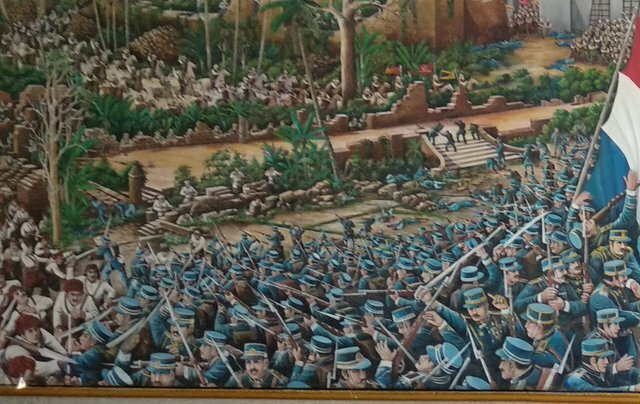 quoted from a source on April 14, 1873, when General Kohler was checking Dutch troops in the area of ​​the mosque, suddenly an Acehnese warrior with a bent position opened fire from a distance of 100 meters and hit the heart of the general. Kohler collapsed under a Geulumpang or kelumpang tree that grows in the courtyard of the Great Mosque of Baiturrahman. Trees by the Dutch are named Kohlerboom or Kohler trees. Kohler shooter is known as a 19 year old teenager Laskar Aceh who is hiding in the ruins of the mosque. The incident certainly shocked the Dutch troops and the news was widespread throughout the world, especially Europe at that time. Meanwhile, according to the story of hero or sniper General Kohler was killed by Dutch troops who were shot shortly after the incident. The mystery of Kohler's shooter is still stored. 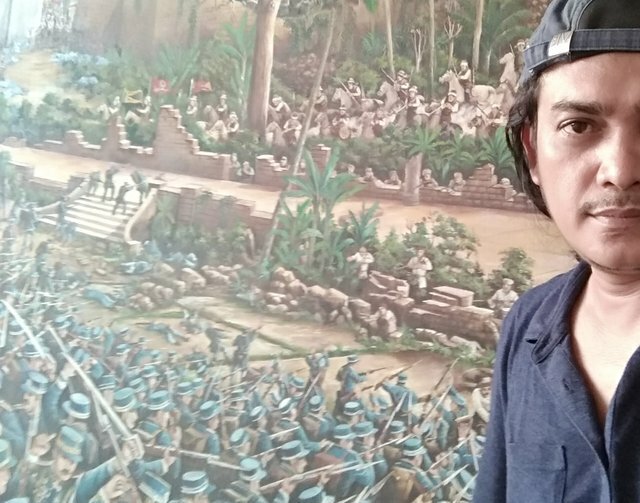 But according to Teuku Nukman, 68, grandson of Imum Lueng Bata, who had been interviewed some time ago, the sniper was named Teungku Imum Lueng Bata. "A lot of people and the media do not write who actually is the mysterious General Djmer's quarry," he said. Teungku Imum Lueng Bata is the leader of settlement Lueng Bata. The leader was named Teuku Nyak Radja original. He is the son of Teungku Chik Lueng Bata. Formerly Lueng Bata was a free area and directly under the sultanate. Nukman guessed because at that time the atmosphere was not conducive, the followers agreed to protect the leadership. "So, Kohler's shooter is also a secret, and besides his name is also a sniper, it must be a secret," said Nukman. Distance Imum Lueng Bata with Kohler, said Nukman, about 100 meters. He considers only the basic weapons used by Lueng Bata to shoot. Teuku Njak Radja only fired one shot and was right about Kohler's curling lens. The bullet penetrated into the chest and Kohler stretched as he said, "Oh god ik ben getroffen (Oh my God I hit)". Thank you for everything, to follow this Short History.